Interested in creating exciting art? For several years, The Parkinson’s Outreach Association has collaborated with the Florida State University Art Therapy program to provide art therapy sessions at the Association’s office in Tallahassee. 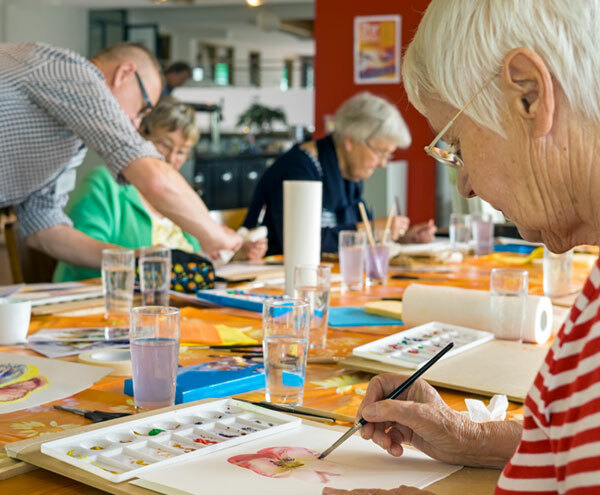 These sessions provide opportunities for individuals with Parkinson’s, family, and caregivers to engage in the art-making process to foster physical, psychological, and emotional well-being, and create unique and satisfying artwork. Please stop by and have an informative, therapeutic, and enriching experience in a welcoming environment. Art skills are not needed! Art materials will be provided. Family, caregivers, and friends are welcome! Art therapy sessions are held at the Parkinson’s Outreach Association office located at 285 Pinewood Drive, Tallahassee, Florida 32303. If you have any questions or if you’d like to attend an art therapy program session, please contact the Parkinson’s Outreach Association at (850) 364-0230, or email contact@theparkinsonsoutreach.org.